And then ACCESS was born! ACCESS turns 40 this year. 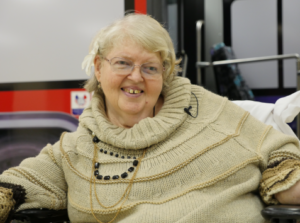 Meet Janet, one of our first riders and fiercest advocates. RealTime is now available by phone call! Click here to learn more. Questions, suggestions, compliments or complaints about ACCESS may be registered by phone or in writing to the ACCESS office.